UPDATE: They have since updated the Fitbit Connect app to work with El Capitan. So, things actually work now. Below is the original message. As several posts have indicated, and my step tracker that’s on the right of my site show (though it’s been kind of lacking in data for the reason outlined below), I’m a Fitbit user and fan. 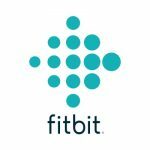 But, since late September of 2015, since the introduction of Mac OS X 10.11, the Fitbit connect app, which handles syncing of the Fitbit via their dongle, this hasn’t worked reliably. Any reboot results in the dongle being lost by the software. Unplugging and re-plugging sometimes works, but sometimes results in the computer slowing to a crawl until you unplug again. Any either way, rebooting breaks things again.